From “Friend to Friend,” Liahona, Apr. 1999, F2–F4; Friend, June 1998, 6–7. When I was little, I lived in Zwickau, Germany. My grandmother had a friend with white, flowing hair. Her name was Sister Ewig, and she invited my grandmother to church. When our family went there, we saw many children. All of us were very impressed by the music, especially the singing. One song, “Jesus Wants Me for a Sunbeam,” really impressed me.1 I felt very close to Jesus when I sang it. I knew that He wanted me to be a sunbeam for Him. I still love that song﻿—and the testimony that it gave me of the Savior. My whole family﻿—except me, because I was only six years old﻿—were baptized members of The Church of Jesus Christ of Latter-day Saints. When I was eight, I was baptized in a public swimming pool by my father. When I was 11, my family had to leave East Germany. We moved to Frankfurt, West Germany. I attended the Frankfurt Branch, which was not as big as the one in Zwickau. The Frankfurt meetinghouse was small, and we had classes in the basement. The missionaries taught us important gospel principles. One missionary, Elder Stringham, impressed me very much with his lessons on the Pearl of Great Price, especially where Moses is being taught that he is a son of God (see Moses 1:3–4). 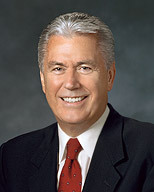 Elder Stringham also taught me the scripture that says, “If God be for us, who can be against us?” (Romans 8:31). This gave me comfort and courage, because at that time the future looked bleak in Germany. The city of Frankfurt was in ruins with bombed-out buildings. That teaching has stayed with me throughout my life. It taught me that I need to be on the Lord’s side. I cannot afford not to be on the Lord’s side. I challenge you children to follow the words of the prophets. When you do, you will find the answers to your questions, whether you are 6, 9, 11, 19, or, like me, 69 years old! 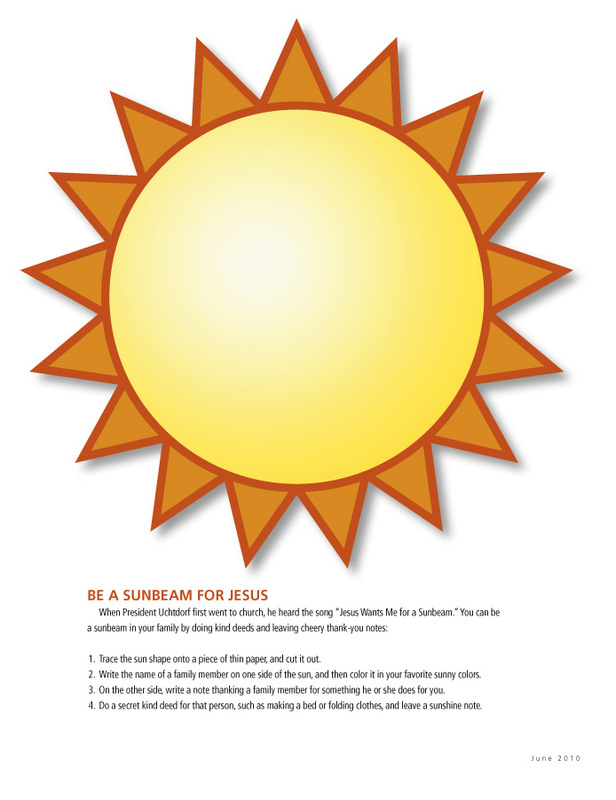 “Jesus Wants Me for a Sunbeam,” Children’s Songbook, 60. Trace the sun shape onto a piece of thin paper, and cut it out. Write the name of a family member on one side of the sun, and then color it in your favorite sunny colors. On the other side, write a note thanking a family member for something he or she does for you. Do a secret kind deed for that person, such as making a bed or folding clothes, and leave a sunshine note.